Until recently Askance has tried to have all its titles available in as many forms and on as many platforms as possible, not least because giving any single outlet an exclusive right goes against the grain. Askance is inclusive, equal opportunity, and not always with money as the driving force – if that were the case we’d be long gone! That’s changing now, and still not because of money. Because of readership. This applies particularly to ebooks. 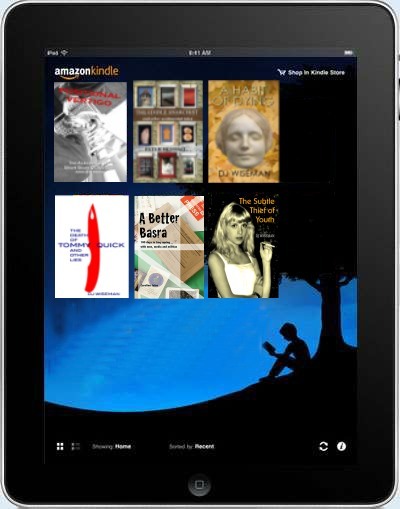 There are many ebook outlets and even wholesalers, although the world is dominated by Amazon’s Kindle with Kobo a distant second. Askance has for the most part made its ebooks available through all these outlets by using Smashwords as a wholesaler for everything but Amazon, where we’ve created our own ebooks. While that gives the maximum accessibility to readers worldwide, in practice it doesn’t get our titles read by so many people. Why? Because of Amazon’s aggressive tactics of making only titles which are exclusive to Kindle available via their Prime and Kindle Unlimited channels. Is this moral? No. Do we like it? No. Is it anti-competitive? Yes. But a simple trial has shown that it gets a title read by more readers. We experimented recently and took a title off of all ebook outlets except Amazon and enrolled that title in the Unlimited program. In the first month of doing so, that book reached ten times the number of readers than it had done in the previous six months on Smashwords and Kobo. Yes, that small extra revenue (and it is small!) is welcome, but the readership is what matters most. Are we selling our soul? It certainly doesn’t feel comfortable, but our writers deserve more readers, that’s the motivation. The world is not as we would wish it to be. Who’s judging the Flash Fiction competition?